The 2018 Range Rover Velar SUV is a great combination of luxury, roomy and comfortable interior, good gas mileage, and advanced technology features to make it the ideal family vehicle. 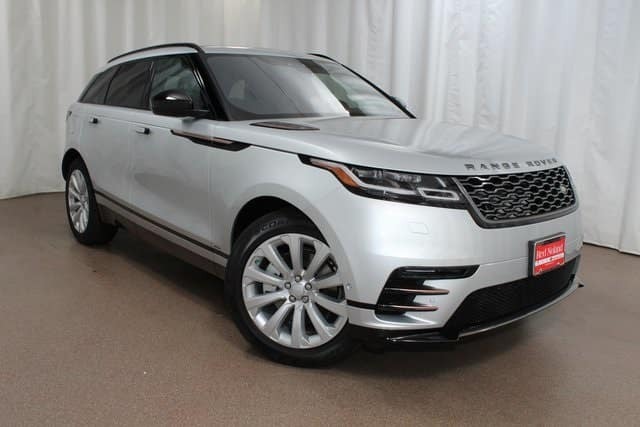 At Land Rover Colorado Springs we currently have three brand new models and a variety of our gently used Velar SUVs that are each priced at less than $80,000, thanks to our Red Noland pricing! Even better, we are currently running some financial offers on this inventory that could benefit you when you choose the Velar. We always offer exceptional Red Noland pricing on our impressive luxury inventory. We promise you won’t be disappointed in the great pricing you’ll see throughout our inventory. We are also still running our 2018 model year sales event, which applies to the remaining inventory of the 2018 Velar! Lastly, we are also running an additional special APR program for qualified buyers. If you qualify, you can get 1.9% APR for 60 months and up to $1,000 APR credit. We are eager to help you find your perfect 2018 Range Rover Velar! We will gladly help you with any vehicle financing questions that you might have. Stop by Land Rover Colorado Springs for a test drive and drive home in your amazing Velar today!